After the, possibly, worst IT product ever (yes ...thats Windows Vista), Microsoft is harrying out an new Windows version. After the first initial good ruser eactions to the beta of Windows 7, Microsoft simply couldn't wait to let everyone down with stupid decision-stunts. 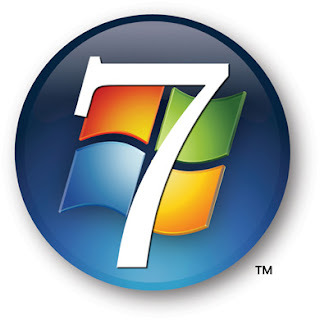 Some time ago Microsoft announced that Windows 7 would come in 6 different versions with different features and price. That is the same strategy that was used for Vista that was heavily criticised because it confused the consumer and basically, it was plain stupid and looked as a scam to get more money. Microsoft simply unable to learn from past mistakes decided to "pull a Vista" on Windows 7 and do it again. A few days ago Microsoft announced that the starter version of Windows 7 would only allow 3 applications to run at the same time. If you want to start a fourth one, well... you have to close one down. The argument behind this was that the average user has only 2 application open at any given time. Thus, providing you with a generous limit of 3 is super-sweat of them. I can picture it right now: You have A Firefox window open, winamp to play music on the background and you are killing time with solitaire. You want to open up a Thundebird to check your emails. Pop quiz: "Which one do you close in order to be able to lauch Thunderbird". Answer :"Screw you..." . Now lets be serious. What is microsoft trying to do? The only thing that I can think, is that microsoft is trying to commit suicide and that Ballmer has lost it completely. The company aims at being more rediculed and hated. Microsoft is literally trying to create worse products. What can I say...we live in a crazy world.